When you set a goal-- let's take the most popular one of losing weight or eating more healthfully-- we are actually striving to FEEL a certain way. We want to feel good in our clothes, feel more energetic, etc. 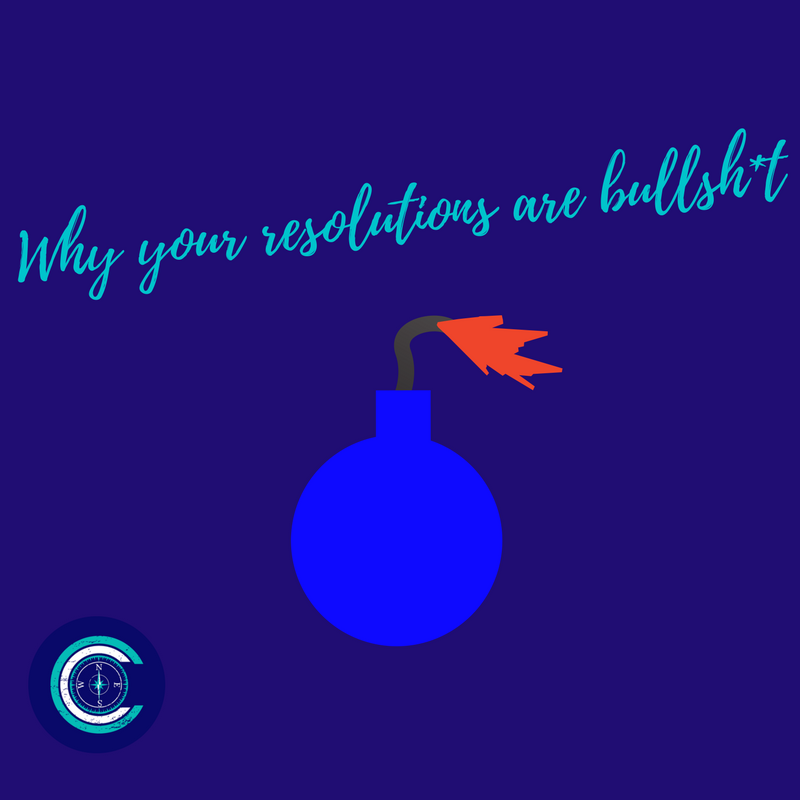 Goals usually involve getting ourselves to do things we don't want to do, which is a big reason why resolutions fail (and are BS). If it was so easy to do the things we don't want to do, then we wouldn't need the resolutions. So please, do me a favor, and throw the term "resolution" out with 2017's trash. Shift to thinking about how you want to FEEL in 2018. Let's take an easy example: I bet you don't always want to brush your teeth twice a day, but you do it anyway. Why? You want to feel fresh, you want healthy teeth, you want to avoid awful dental procedures, you want a nice smile, etc. There are a lot of good reasons to follow through with what you don't want to do in order to feel the way you want to feel. When we start focusing on the way we want to feel, the steps to get there may look similar or different to the original goal (or old term- resolution). To feel healthy, maybe you drink more water, reduce your sugar intake, try meditation for 5 minutes a day, get more sleep, etc. When you look at it this way, there are a lot of choices to reach your desired feeling. When a feeling is your goal, you are more likely to tolerate doing the things you don't want to do, and motivate yourself to do them. The feeling is the reward, not the simple act of checking it off your list to prove something to others. List checking is a very short-lived feeling. You constantly have to check off more things to get the feeling you seek. Focusing on the feeling is a self-fulfilling and sustaining process. You can get creative in different ways to produce the feeling, and the reward is internal. You KNOW how great it is to bask in the glow of that feeling, and you get the satisfaction of knowing you did what it took to produce it. Because the reward is great, you are much more likely to tolerate doing the tasks you'd rather avoid to get there. In addition, if you are working on developing your own gratitude practice, it is likely that you will put a twinkle light on each instance where you get to this feeling. So this actually can kill two birds with one stone. Interesting huh? Click below to grab a free guide to creating your own goals with soul, rather than resolutions that set you up to fail.